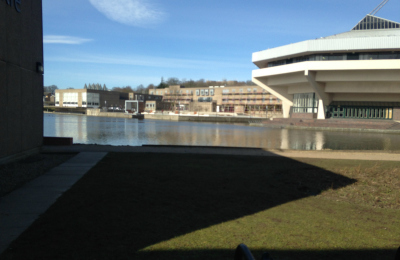 Uni applicant diaries: Ruby’s uni taster day - Which? My careers adviser at school emailed me some links about university taster days across the country and I picked a few that appealed to me. I researched which ranked well for both student satisfaction and English, the subject I want to study. 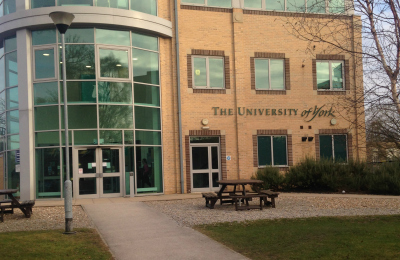 As the University of York seemed to score highly for both, I decided to brave the eight-hour round trip there. 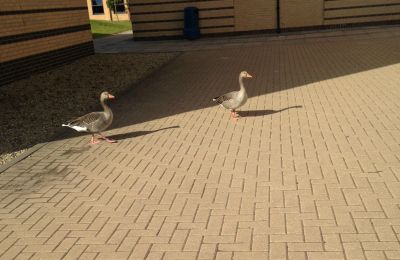 Why did I attend a taster day? what is English at degree-level like? what does a typical lecture feel like? do I want to spend the next three years listening to them? A VERY early start to the day for the four hour journey 'up north'. If you're planning to go to some taster events, make sure you are really interested in those particular universities; travel costs and time should definitely factor in your decision planning! I arrived a whole forty-five minutes early, which gave me a whole forty-five minutes to get lost in the beautiful (but vast) campus. Luckily, I managed to find my way to the correct building and get registered. 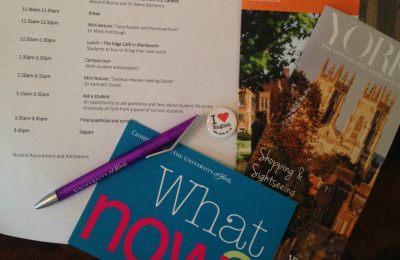 I received my free goody bag full of helpful University of York information, promotional materials and treats, including two free pens, an ‘I heart English’ badge, and a CREME EGG (I know, right!). This is what's especially good about visiting universities in person: they want you to come back, so they give you loads of materials to help you make an informed decision. These include prospectuses, leaflets and booklets on university life, accommodation, clubs and societies. Here, all 18 of us attendees received a warm welcome and a brief outline of the day's events, plus a glimpse of what studying at York was like. As a potential applicant, I was interested to learn that they offer small, group seminar teaching, workshops, lectures and one-to-one consultations, but that these teaching methods would vary depending on which course you take. During this session, I learned about the wide range of options from classic to modern literature and that these could be increasingly tailored to suit my interests. Crucially, I discovered that, as writing is at the heart of an English degree, York's course is largely coursework-based (whoopee, fewer exams!). Subject-specific questions revolved around how much time we would spend in lectures per week ('roughly 6-8 contact hours of lectures and seminars, which is standard for humanities courses') and how much reading there would be per week ('you could be asked to read a 400-page novel; other times it could be a 100-page play or 30 pages of poetry'). This was great because not only do I love Jane Austen and her novels, but it also gave me an insight into how English literature is taught at a higher level, and the standard of teaching on offer. While open days are great to get a general feel for a university, course taster days are better at helping you know if you like their teaching style and the subject itself. They also look great on your personal statement as it shows a great dedication to your subject; that you went out of the classroom to further pursue your favourite subject in your own time. 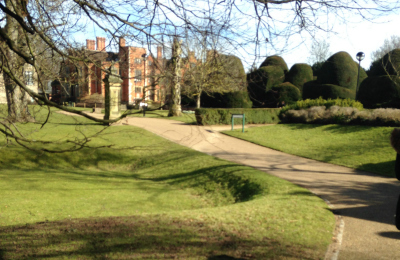 The campus' oldest building, Heslington Hall. As English literature courses are primarily focused on prose, poetry, drama and film, I effectively got a taster of what half of my course components could be like! Here we were given the opportunity to talk to a York graduate and her experience. This was a fantastic insight into what the University is like and all of the different opportunities it can offer, both in and outside of the course. For instance, I learned that York has 160+ student-led societies including some more bizarre 'socs' such as 'The Harry Potter Muggle Society', 'The Taylor Swift Society' and 'The Pant Soc' (who knew?). Plus I learned that they had a wide range of English-based societies that cater for all tastes, from editorial to creative writing. And that ended my English ‘taster day’. I found it very useful, as it has helped me not only see what my preferred subject choice would be like to study there, but also what the University itself is like. I was so impressed that I have decided to make it one of my five choices! So, was the taster day worth it? I would strongly encourage people to book a taster day to help them in this incredibly difficult decision process. Seeing a university in the flesh is so important; you may think it is right for you on paper, only to hate it when you see it. Alternatively, you could be on the fence about a university, see it in person, and fall in love with it! If you are interested in a university, look on their website to see if they have any taster days coming up. Have questions in mind that you want answered, so you can really benefit from the day. And don't forget to pick up the free pens! Ruby is a current Year 12 student, studying English literature, French, early-modern history and theatre studies. At the moment, she's attending open days to help her decide where she wants to apply to. Ruby is interested in becoming a journalist when she's older. In her free time, she likes to sing, dance, act and read. Want to share your uni journey like Ruby and get some experience with a well known brand under your belt for that personal statement or CV? We're always looking for student contributors to write blogs, film quick videos or snap some pics. Drop us a quick message at whichuniversity@which.co.uk if you're interested.